It never ceases to amaze me how inventive kids are when it comes to LEGO building; what they lack in technical skill they make up for in unbridled imagination. 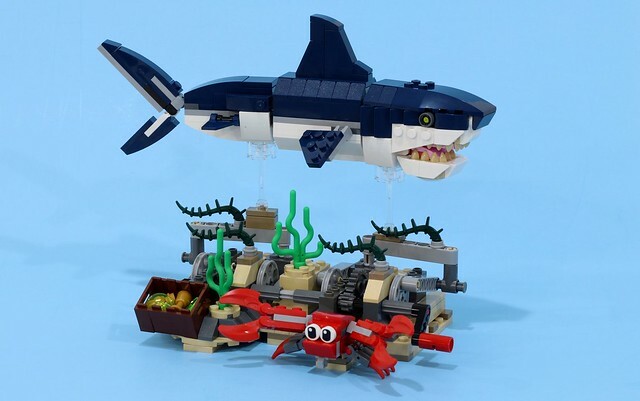 Builder Mishima has been tapping into his son’s own amazing ideas: a LEGO shark mech is an ingenious concept in anyone’s book! What I love about the upgraded model is how it diligently sticks to the unusual colour blocking and asymmetric features of the original build; the final adaptation revelling in these design choices. Yet, as cool as Mishima’s reimagined version is, the intellectual property rights probably belong to his son. Presenting BRICKNADO² : The hell we can! It’s summer time, and that means there’s another goddam Sharknado movie round the corner. 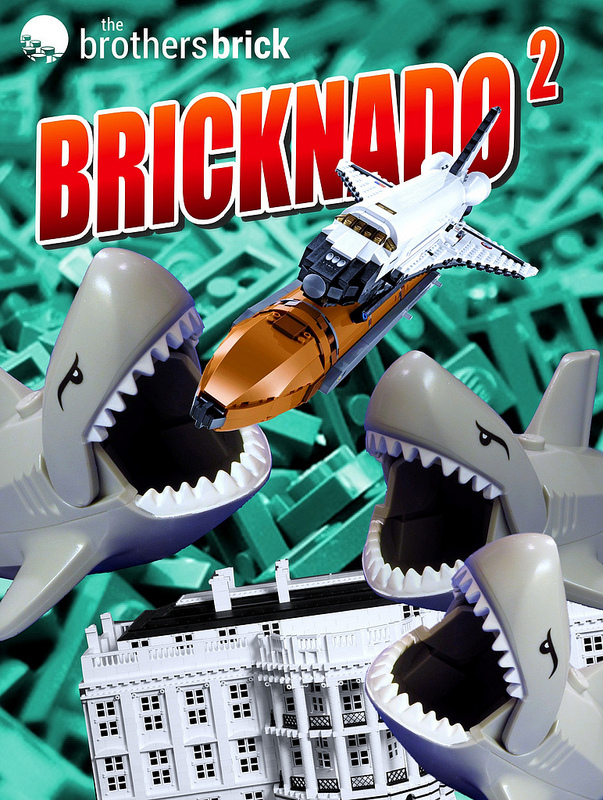 Last year’s BRICKNADO contest was heralded as our “dumbest idea ever” so we just had to do it again, this time to celebrate the impending release of Sharknado 3: Oh Hell No. Hec, we couldn’t even get our sequel numbers to line up with theirs, but we don’t care. The 3rd movie is centered around Florida, Washington DC, and David Hasselhoff’s personality. We can’t wait to see how you exploit these iconic locations. But get cracking, because you’ve only got two weeks! 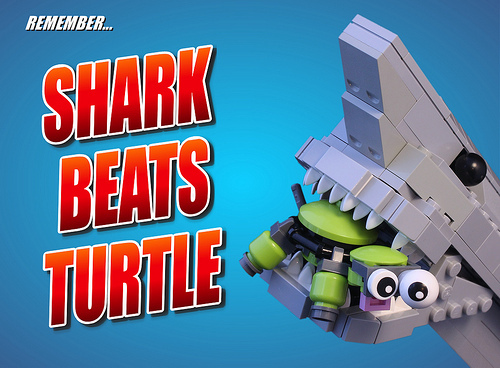 Build a LEGO model – the funnier and more outrageous the better. Then add one photo of your creation to the BRICKNADO² Flickr group. 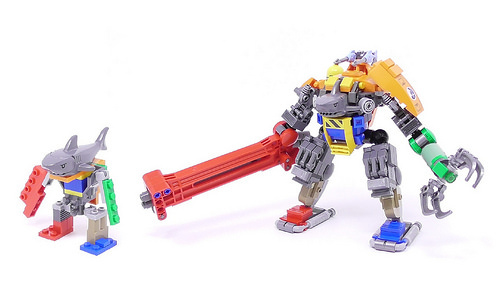 You are welcome to submit more than one creation, but The Brothers Brick reserve the right to SAW YOU IN HALF if you overdo it! No digital creations are allowed. All entries must be submitted before July 20th. We will announce the results on the 22nd, right before the movie airs. Three lucky winners will receive a variety of shark-tastic prizes, that we’ll reveal next week. The BRICKNADO building contest ends soon! Never heard of Sharknado? No shark pieces? Just hate sharks, because they ate your grandfather? WE DON’T CARE! 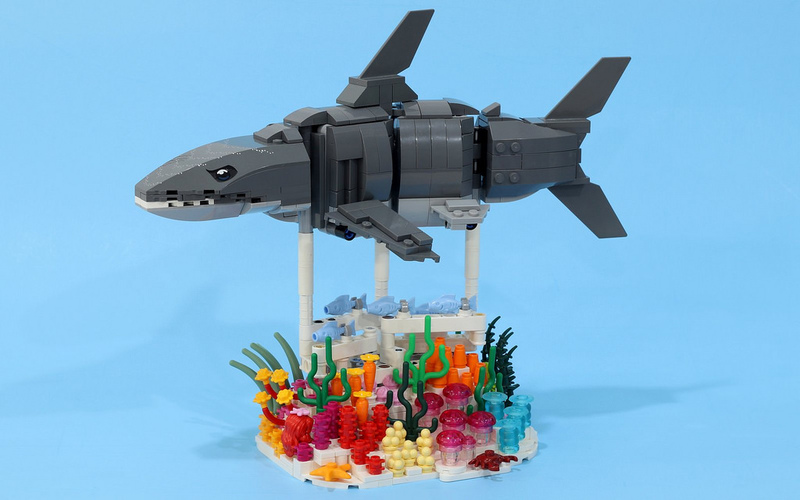 Just build something funny involving sharks. The sequel is set in New York, so extra props for working that into your build: Sharks driving yellow cabs, starring in musicals, imitating landmarks …surprise us! 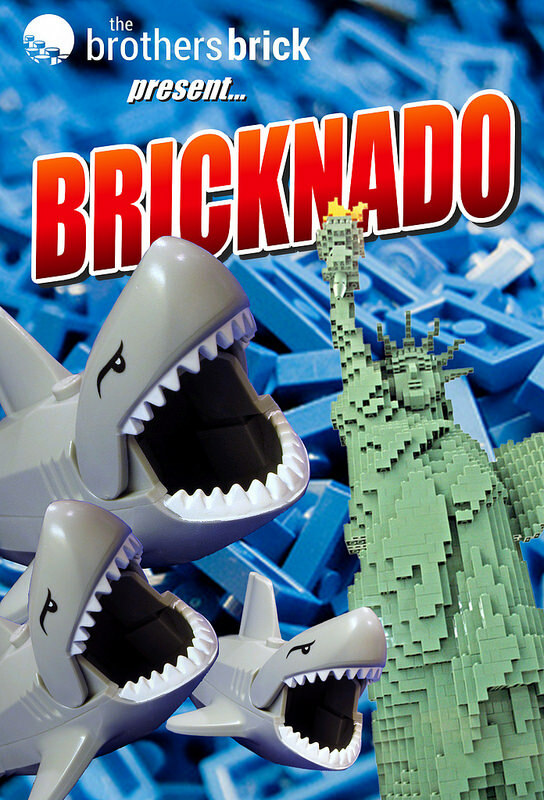 The Brothers Brick present BRICKNADO, a Sharknado building contest! 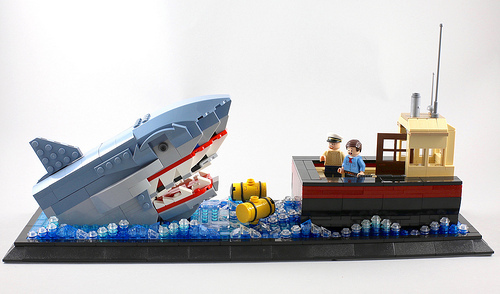 We at The Brothers Brick love predatory fish and extreme weather. 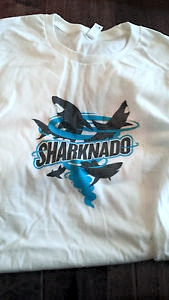 So we’re huge fans of SyFy’s high-brow political thriller and romantic comedy Sharknado. But we also love ridiculous New York movie stereotypes, such as rude cabbies and the pointless destruction of famous landmarks. Not surprisingly then, we’re positively shark-static about the new follow-up movie Sharknado 2: The Second One which airs July 30th on the SyFy channel. We’ll be glued to our TV’s, popcorn in one hand, bucket of chum in the other, for 2 hours of deeply thought-provoking chainsaw-tastic aquatic mayhem. Build a LEGO model! 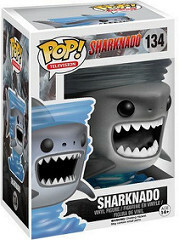 It can feature sharks, nados, chainsaws, New York references, celebrity cameos, whatever you like! Anything goes, the funnier and sillier the better. Then add one photo of your creation to the Bricknado group on Flickr. You are welcome to submit more than one creation, but The Brothers Brick reserve the right to BITE YOUR FACE OFF if you overdo it! No digital creations are allowed. All entries must be submitted before July 28th. You can also expect plenty of honorable mentions, and perhaps a mystery bonus prize or two! 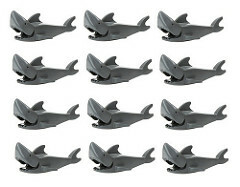 They’re sharks, they’re scary, and no-one wants to get eaten. But I’ve been eaten, and it takes a lot more than that to bring a good man down, and even more than that to bring a New Yorker down! This is the Big Apple… If something bites us, we bite back. So forget the umbrella, grab a chainsaw, and let’s kill some sharks!